Monday is back, South Florida – and NBC 6 has the top stories you need to know for November 26th. Did you do some holiday shopping this weekend? If not, start swiping and adding to cart if you want to snag some pretty good deals. In some cases you might still find some deals better than what was offered on Black Friday. Amazon usually carries many of its sales through the weekend in addition to some big savings on tech, kitchen appliances and more. 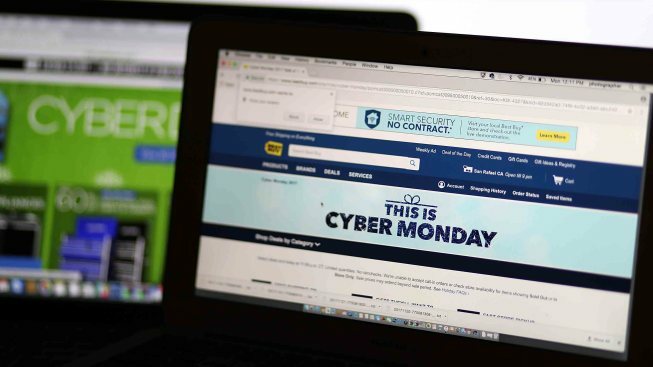 Other online retailers with deals include Walmart, Best Buy, Target and GameStop. Some big savings to look for include TV's, laptops, travel packages, clothing and beauty products. Here are some tips - shop at websites you trust. Check out the business, read a few reviews and maybe even give them a call if they're a small store. Beware of rock-bottom prices - if it sounds too good to be true, it usually is. Purchasing items with your credit card does offer some protections. You have an opportunity to dispute bogus charges and some cards offer complimentary extended warranties. Watch out for email scams, don’t give out too much information and pay with a credit card just to cover your back with fraudulent stores. That not only means less trees to go around, but shoppers can also expect higher prices when buying them. This comes after many Christmas tree farms were forced out of business because of the recession back in 2008. The National Christmas Tree Association says because it takes between seven to 15 years to grow from a seedling to a six to seven foot tree, it's led to a supply shortage. North West took over as her makeup artist for the day, documenting the whole makeover on social media. The five-year-old applied foundation and eyeshadow to her famous mom who later shared the final look of a very fierce smoky eye.